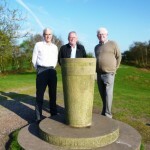 Last year the Downs Banks Millennium toposcope dial was stolen and never found. 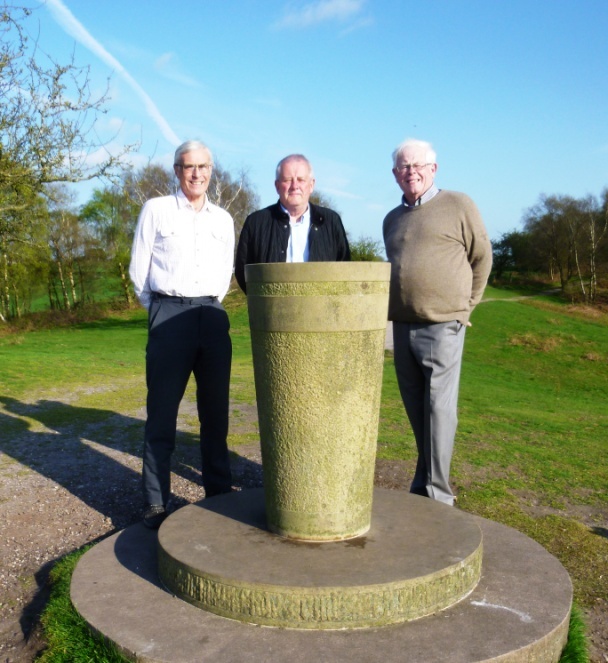 So after work by Julian Bailes , a resident of Barlaston and Wilf Burt from Hanford, the original maker of the toposcope, it has been replaced and I went with the Chairman of Stone Rural PC, Bryan Fletcher, to look at the new toposcope . We are pictured with Neil Hemmings, Barlaston Parish Clerk.